All aboard! Today we are learning to write good sentences. One of the most important language skills in first grade is learning to write a complete sentence. Don't forget a capital letter and an end mark! This learning aid stays on our board as a visual reminder of the sentence components. I have a white board that is magnetic. I use it as a place for instructional posters, charts, or reminders. For any instructional aids that I make, I laminate them and put magnetic strips on the back. I teach an inclusion class, with both typical and special needs students in the same classroom. I try to keep my classroom free of unnecessary visual distraction, only posting the items I feel are important at the time. 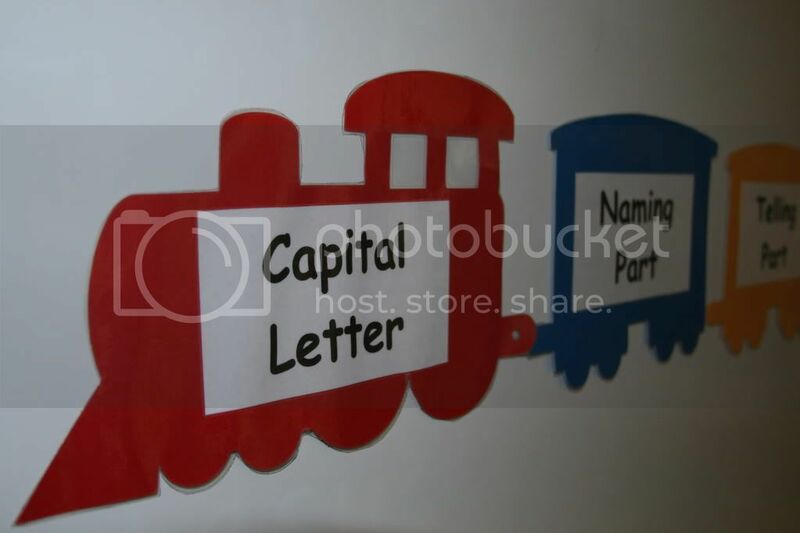 The sentence train is one of the items that remains posted most of the year. The images are cut from the Cricut Cartridge, "Word Builders, Word Party." I Used the blackout feature. The two middle cars are also the caboose image, with the end piece cut off. I printed the words on my computer and adhered them to the card stock before laminating. 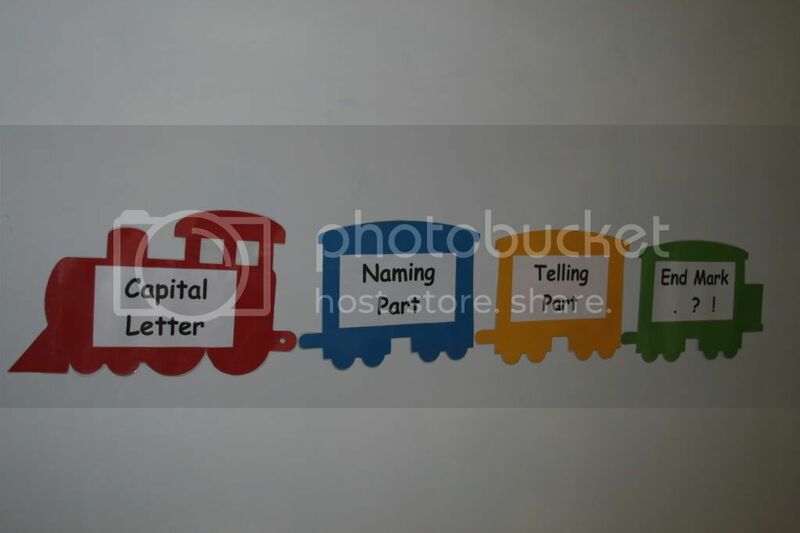 I have also used the train shapes in my classroom for interactive games about sequencing, alphabetical order, and numerical order.